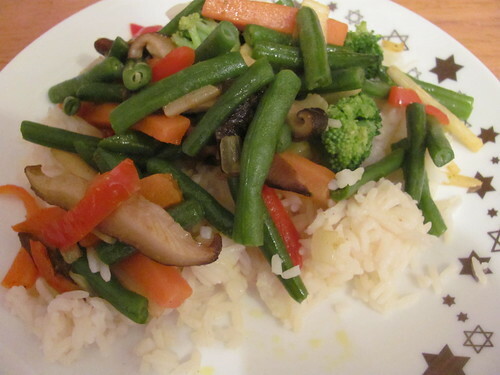 Stir fried vegetables with coconut oil, ginger, and red curry powder over jasmine rice. 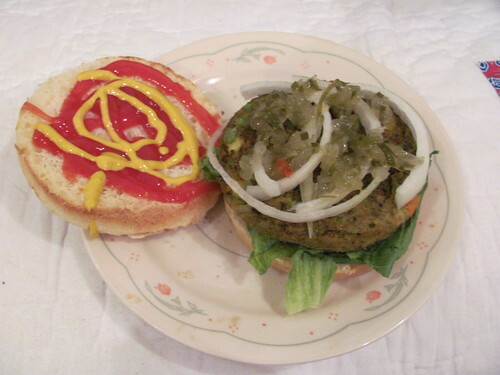 Veggie burger (I think this was called a curry burger, with lettuce, onions, relish ketchup, and mustard on a GF bun). 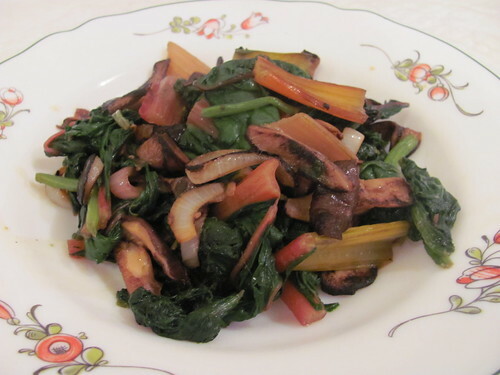 Sauteed rainbow chard, mushrooms, spinach, and onions in a soy ginger sauce. Saute mushrooms, onions, and minced garlic in one pan with a little olive oil, adding tamari sauce and ginger to taste. Saute greens in a separate larger pan with a little more olive oil and garlic. Combine when the mushrooms and onions are ready. 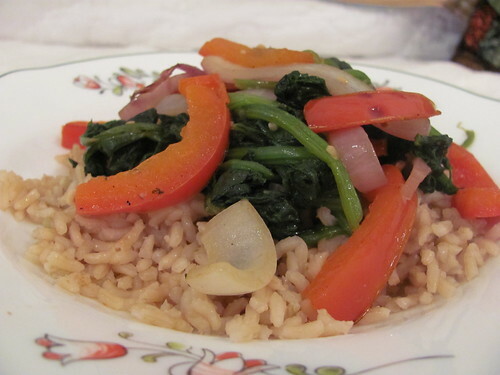 Sauteed spinach, red peppers, and onions over brown rice. Prepare the brown rice however you like (pot, rice cooker, microwave). 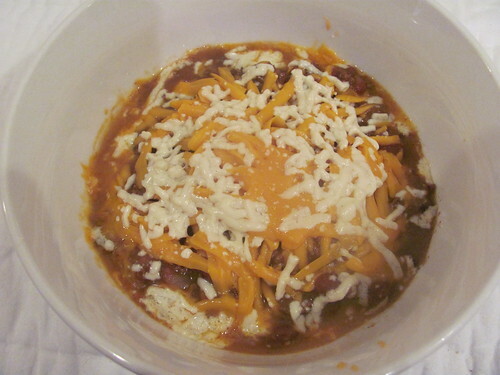 Add other ingredients to a large pan and cook until the onions and peppers are done. Add cumin to taste, and serve over rice. 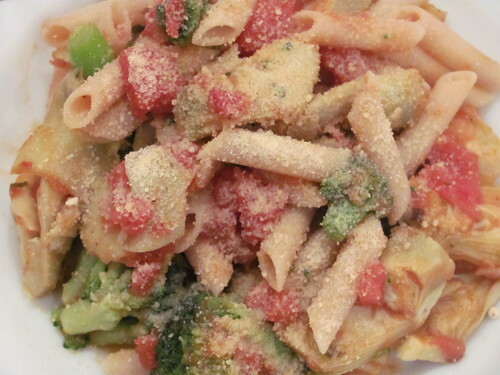 Brown rice penne pasta with artichoke hearts, broccoli, and tomatoes topped with vegan parmesan. 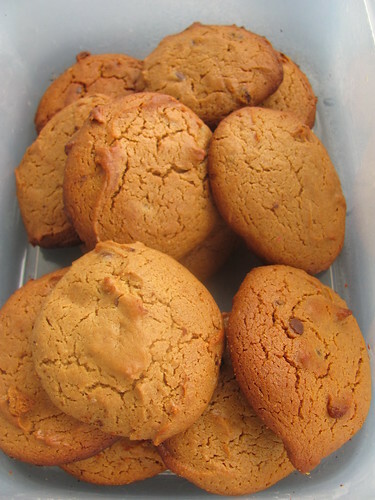 I’m not sure what to call these cookies. 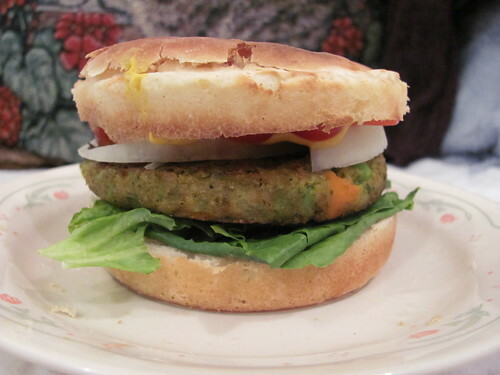 I based the recipe off of one called Sunbutter Greenies from The Allergen-Free Baker’s Handbook. 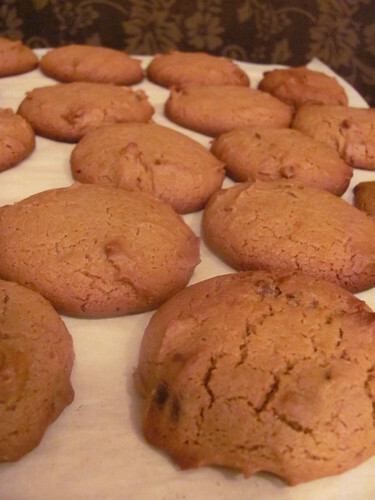 But I switched up the ingredients some (I used both Sunbutter and peanut butter, and I used agave nectar instead of 1 cup of the maple syrup) so they are neither primarily Sunbutter nor did they turn out green. Name suggestions? 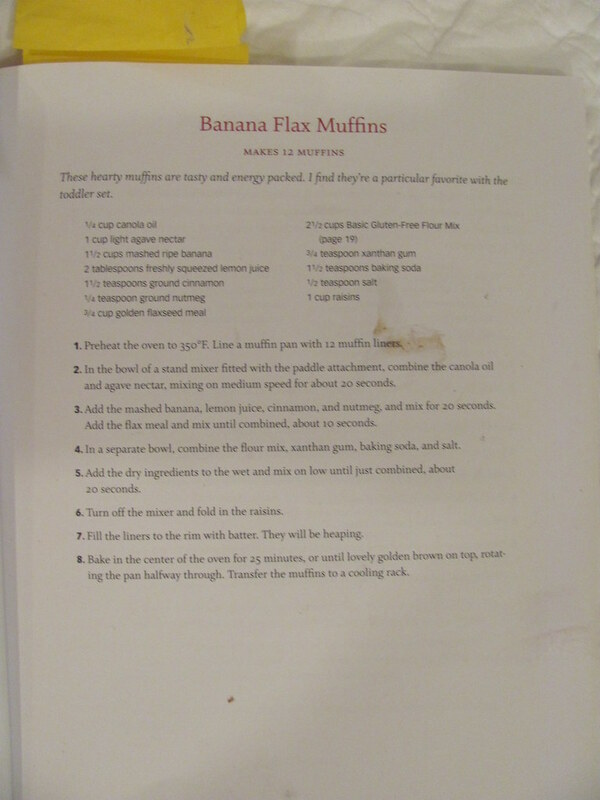 I was skeptical about the recipe because of the changes I made, and because of how simple it was. I just felt like I wasn’t using enough ingredients! 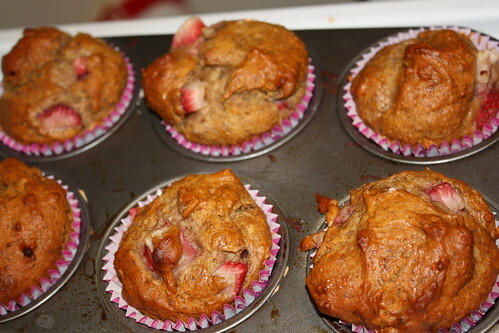 They turned out VERY well though the bottoms were a little too brown (which was strange because my oven usually under-cooks). Preheat oven to 350 F. Mix together the dry ingredients, then heat up the butters and add to the dry mix with the syrups and vanilla. 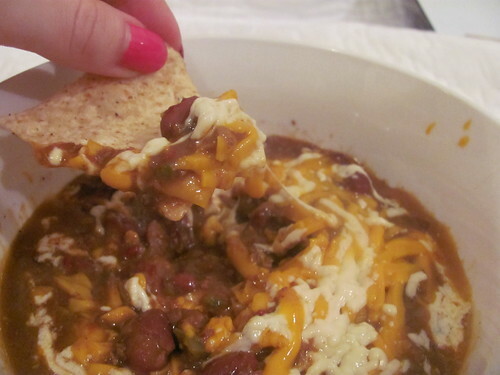 Mix with a spoon and then add the chocolate chips. I used a cookie dropper and had enough dough for 28 cookies. Bake for 15 minutes. 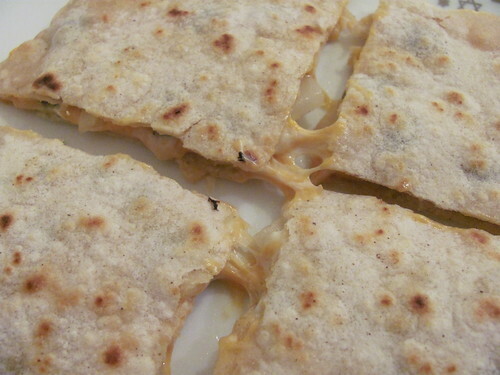 If you haven’t tried Daiya yet, you’re really missing out. This stuff is incredible, especially in quesadillas. 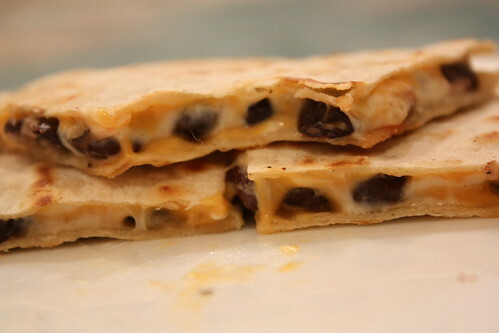 These were the best ones I’ve ever made! 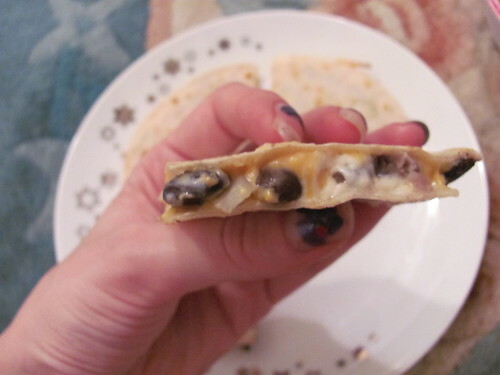 Corn tortillas with Daiya cheddar and mozzarella, plus black beans and salsa. 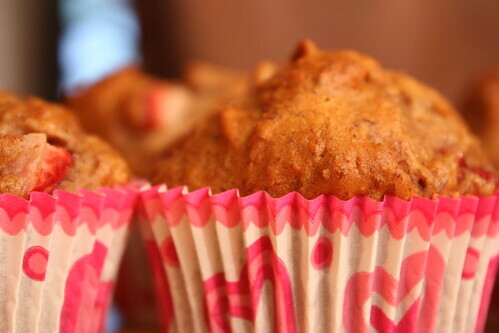 These muffins are truly amazing. 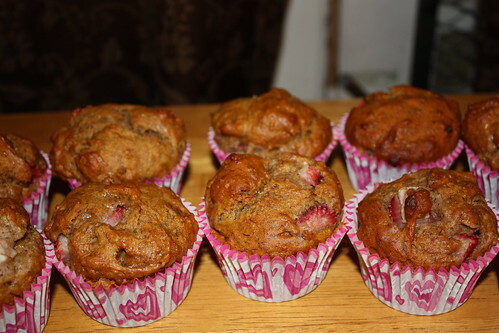 The original recipe was for bananas plus raisins, but I don’t like raisins I made them with fresh strawberries instead. Wonderful! 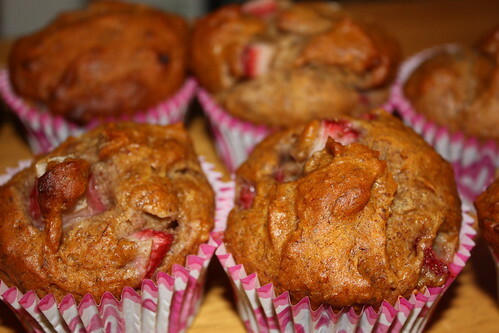 Right after these I made another batch of the buckwheat muffins, this time with mixed berries instead of apples. Also a huge success! 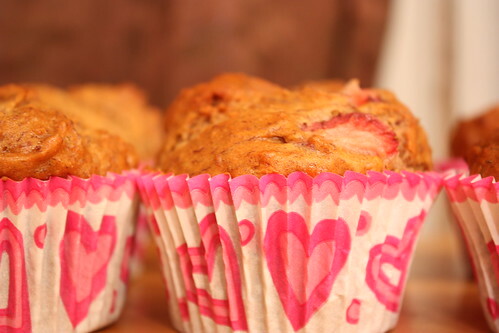 I took both batches of muffins to two picnics to share, and everyone loved them! 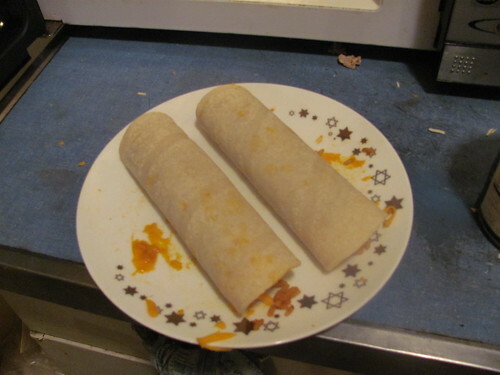 Tonight I tried making burritos with corn tortillas. 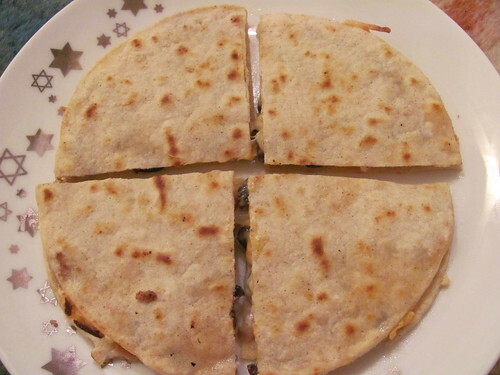 It actually works really well, you just need to microwave the tortillas first to soften them so they will wrap without breaking. 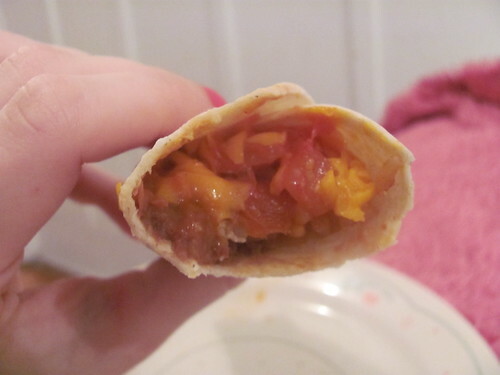 Add a little moisture to them as well (a few drops of water) and they’ll wrap just like flour tortillas! 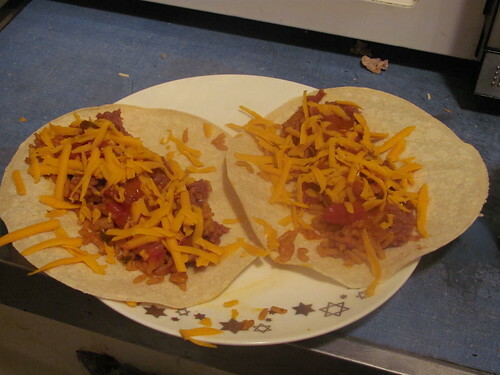 I added to mine refried beans, rice, salsa, enchilada sauce, and FYH cheddar soy cheese. 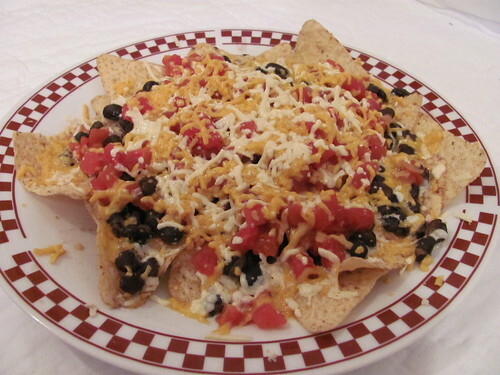 And nachos from another night. 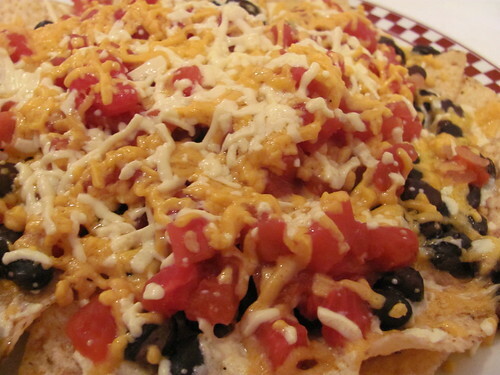 These have black beans, diced tomatoes, and cheddar and mozzarella Daiya.